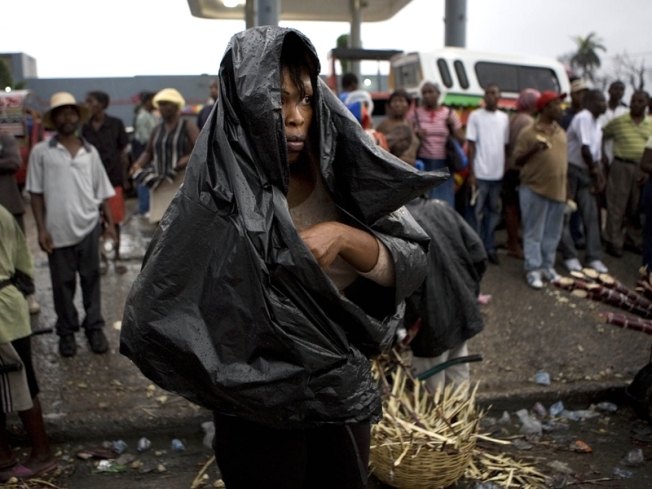 A woman covers herself from the rain with a plastic bag at a bus station in Port-au-Prince, Monday, August 25. Haitians were told to prepare for evacuations as Tropical Storm Gustav formed quickly Monday in the Caribbean. Gustav continued to gain strength after becoming a hurricane early today and forecasters say it could become a Category 2 hurricane before hitting Haiti's southern coast. The fast-forming storm is also on track to hit Cuba. The National Hurricane Center in Miami says the hurricane's maximum sustained winds were near 85 miles-per-hour with higher gusts. 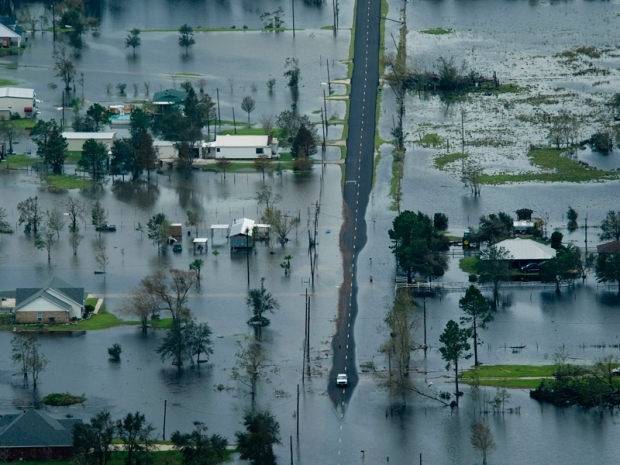 A Category 2 hurricane has winds of 96 miles-per-hour or higher. Haitians were told to prepare for evacuations as the storm formed yesterday in the Caribbean. Haiti upgraded storm warnings to hurricane warnings along much of its coast as Gustav closed in from the south. At 5 a.m. Eastern, the hurricane was centered about 100 miles south-southeast of Port-au-Prince and was moving toward the northwest near 9 miles-per-hour.